Did you know that researchers have found that children's persuasive writing abilities develop more slowly than any other genre (Applebee, Langer, & Mullins, 1986)? That means that it is essential that we get students writing persuasively as often as possible. One of the best ways to motivate students to write persuasively is with really fun and engaging writing topics. In addition, when we give students different types of ways to write persuasively from speeches to critical reviews, we can really engage students. In the spirit of getting students writing, I've compiled 15 of my favorite topics and styles of persuasive writing. 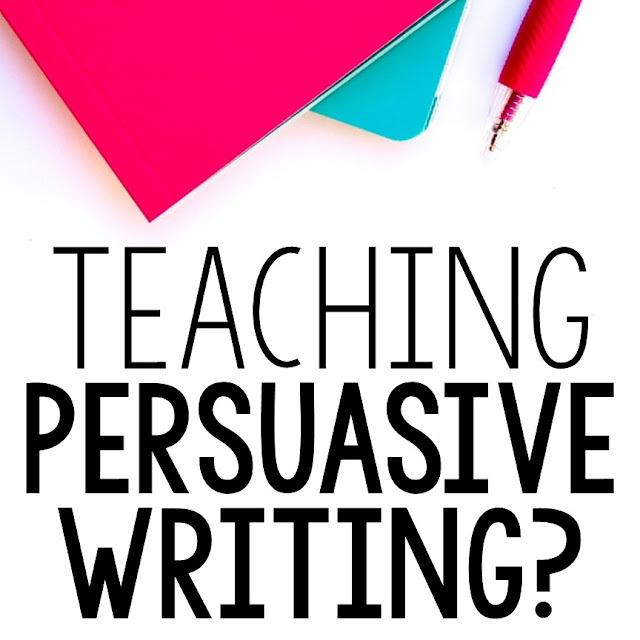 These ideas are sure to get your students excited about writing persuasively! Students are bombarded with advertisements in their daily lives. So why not capitalize on their experiences with advertising and get them writing their own ads? When students write persuasive advertisements they're able to infuse the critical components of advertising like a memorable name, special features, and persuasive words and phrases into advertisements designed to get readers to do or buy something. 1. Have students design a new product. They love this! It can be anything from a new type of sneaker to a machine that does a household chore. Then, have students develop ads to convince people to buy their products. 2. Challenge students to write a commercial that provides positive information about a person or service. Since commercials use persuasive language and advertising techniques, they're perfect for developing students' writing skills. As an added challenge, commercials need to be 30-60 seconds long, so they encourage students to write concisely. 3. Combine two things students know a lot about: roller coasters and advertisements with this next idea. First, develop background knowledge on roller coasters. Then, have students design their own coaster. So fun! Finally, have students write persuasive ads about their coasters that convince people to give them a try. 4. Set up fictional or real elections for roles in your classroom or school. Determine the different types of positions that students will be trying to persuade others to nominate them for. Then, have students write campaign speeches to convince their classmates that they're the best person for the job. 5. Combine research with growth mindset and speeches! Have students research important leaders and change-makers in the world. While researching, have students determine how their subject demonstrated a growth mindset. Then, lead students through developing persuasive speeches that not only teach about their subject, but also convince their listeners that their subject used a growth mindset to succeed. 6. Along the same lines as the growth mindset topic, create an award that students need to convince others that their research topic should earn. For instance, students might research a president and write a persuasive speech about why he should win the "Best Leader of the 20th Century Award" like in this detailed unit. Or you might have students write persuasive speeches about the person they deem to be the "Best Athlete of All Time" or the "Greatest Singer in this Decade." The options are endless! 7. Have students write persuasive letters to a company that they love. In their letter, they'll need to persuade the company to improve or create a new version of one of their favorite products. For instance, students might write to a skateboard company and persuade them to alter the wheels of the boards. 8. Task students to write persuasive letters to the principal or school board. They should take on a school issue (anything from school start time to uniforms to cafeteria food). Then, after researching the benefits of their opinion, they should write a letter to a school leader persuading him or her to make a change. 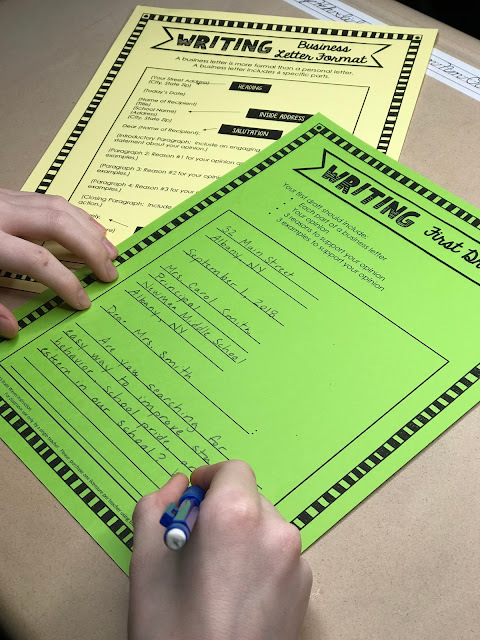 This Opinion Writing Unit is designed to help students complete this task. 9. Since students are typically good at persuading their parents to buy them things or let them do things, why not have them write persuasive letters to their parents? A fun idea is to have students write persuasive letters explaining to their parents why they should no longer have to do a particular chore in their home. As you can imagine, students get really into this! 10. Sports - Have students consider topics like "Is professional football too dangerous for players?" or "Should boys and girls play on the same sports team?" 11. Animals - Students might write persuasive essays stating that pets should be allowed in all public spaces or animal testing should be completely eliminated. 12. School issues - Since students are experts at being students, they often have opinions about topics like school starting later, summer being longer, or homework being eliminated. 13. Add a persuasive review to students' next book report. After students report out on the book's plot, setting, characters, and theme, have them write a persuasive review about the book. They could even add persuasive components to this FREE standard book talk. 14. Since students love watching movies and television shows, challenge students to write a persuasive review about something they enjoyed watching. Challenge them to convince others to watch their favorite movie or show, too. 15. Have students write a persuasive review about a product (like a toy, school supply, article of clothing or food). You could even bring in a selection of different sweet treats for students to try. Then, they could write a persuasive review about the best cookie or candy. Well, there you have it, 15 of my favorite persuasive writing topics and ideas. I hope I've persuaded you to give at least one of them a try!